Hey everyone! 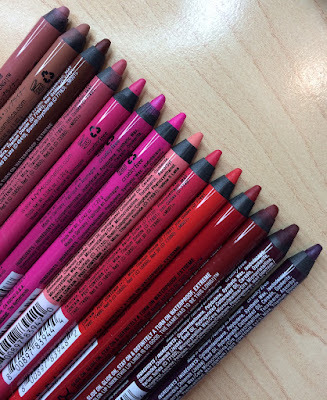 So... you all know I don't necessarily like EVERY beauty product I try. But it's not usually hard to get me to try them! For example- look at the picture above. 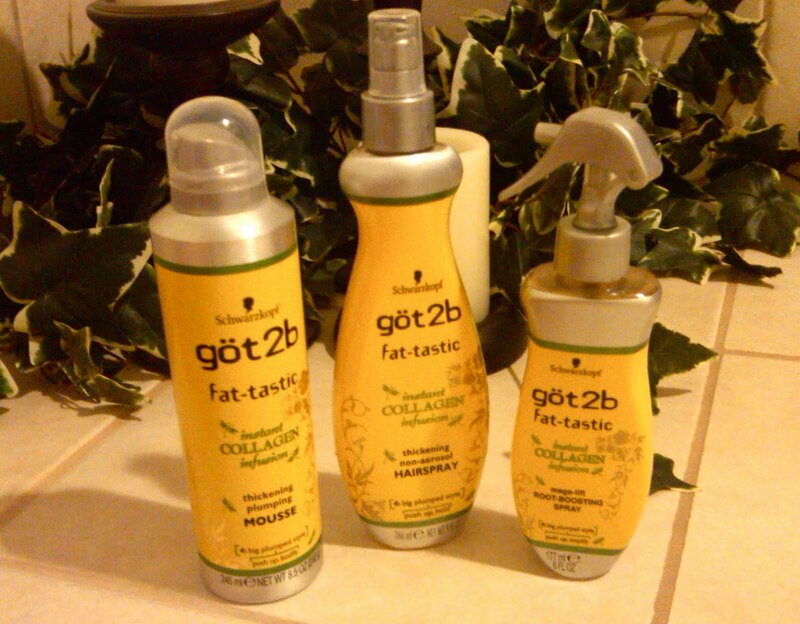 This is from the ad for the Got2b Fat-tastic hair products. 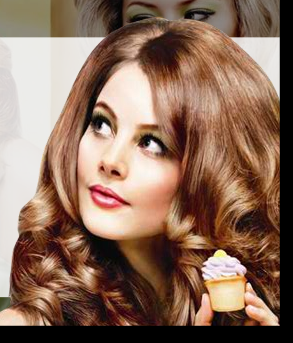 When I saw this ad in a magazine not too long ago, I thought- I MUST have that hair. I'm not going to make any bones about it, I like big, voluminous hair! And with the weather turning colder and the humidity becoming less of a factor, I believe it's actually attainable with some decent products! And could a girl holding an adorable mini cupcake really steer you wrong?!? The non-aerosol hairspray was featured in my most recent Shopping List Ideas video. It's not so much a strong-hold hairspray, as something I just spritz on before styling to add some texture and lift. For that purpose, I'm still loving it! And the mousse... I've been putting a small amount (I've learned it only takes a little) in mostly dry hair (you could do it on wet hair too), and then blow drying upside down. 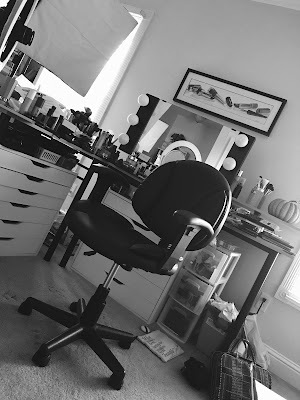 I really do notice INSTANT body, and it makes my fine, often static-prone hair much easier to work with as I use a curling iron or other styling tools. And maybe it's just the lack of humidity in the air... but my hair has been holding a curl and staying "fat" -- with less teasing than usual! As for the root-boosting spray... I really haven't tried this enough to tell you anything for sure. It's very likely this is a product that you could use in place of the mousse (or vice versa)... the spray would be more lightweight, so if you felt the mousse was too much product- this may work. But, like I said, I need to try it more. Probably tomorrow! I will keep you posted on my quest for "Fat-tastic" hair! For now, a new blog feature that you'll find quite random.... my Daily Nuggets! I've posted a blog, a video, and went grocery shopping today. And went to work. Feeling productive! I'm sure this phase will pass eventually, but I'm kind of obsessed with buying Cupcake the tastiest-sounding Fancy Feast cat food possible. Today she ate "White meat chicken and cheddar cheese souffle with garden greens." Sounds better than anything I've had lately! Healthy Choice Chicken & Rice soup is one of the few really healthy soups that is actually delicious. I think fall is becoming my favorite season. With an array of different shampoos at my fingertips, I've been reaching for Tyler's giant bottle of Green Apple Suave, of all things. It smells good!! Do I need to justify this further? It's always hard to leave a warm bed with Tyler & Cupcake in it at 1:30 freakin' AM... but this week it's been tougher than usual. Not sure why. I have a major urge to go shopping this weekend. Have a great day & thanks for stopping by!! I've been trying hair products to try to get more body too. I want to try this line now since it's pretty reasonably priced =) Let us know how the root-boosting spray goes! I hate hate HATE waking up in the morning and leaving my boyfriend there, looking all warm and snuggly. Weekends FTW! I'd like to try some of these products, but my hair is so flat and limp I doubt they would help me. I've learned that my hair just isn't capable of having volume. And I love the Daily Nuggets things! Cute! I absolutely do not mean this in a snarky/rude manner, but Fancy Feast is a terrible, low grade food to feed to cats. Ask your vet, he or she will probably confirm this....or at least I would hope so. I'm a bit of a "pet food snob", plus I work in an animal hospital. If you have a Costco membership, their Kirkland brand is a decent food and extremely affordable. Wellness, California Natural, and Felidae are very high grade foods, but a little expensive. I agree, I'd never doubt anyone holding a super cute mini cupcake! I also have a major urge to go shopping this weekend...who doesn't?! And like you, leaving my man in early in the morning is one of the hardest things! 1.30am!? No wonder you have trouble getting up! It must be so cold and miserable out. I wouldn't know cos I cant even remember the last time I was out after mindnight. Oh I'm so old!! Wow...love ur videos and can't wait for the review of these products..
Just wonderful post, personally i am very interested for this topic. Crazy Nails with Hard Candy Beetle!